Sometimes the greatness of a song lies not so much in the melody and lyrics, or even the resolution thereof, but the absence, perhaps the deliberate exclusion of these things. The will to be different and test the listener. In order for this effort to succeed, the performer (the band) has to have shown the ability to do wonderful things by operating within certain norms. In other words, the band has to set the hook. They can’t do it if they don’t gel as a unit. Talent is important, but chemistry is key. This is the indefinable element we’re talking about. The X factor. The quality that makes something get up and GO. As Paul McCartney said (and I’m paraphrasing), any band’s magic is a matter of alchemy – how some guys write and play and produce music at THAT particular point in time, and it just works. Change one detail — swap one musician for another — and the magic might go. 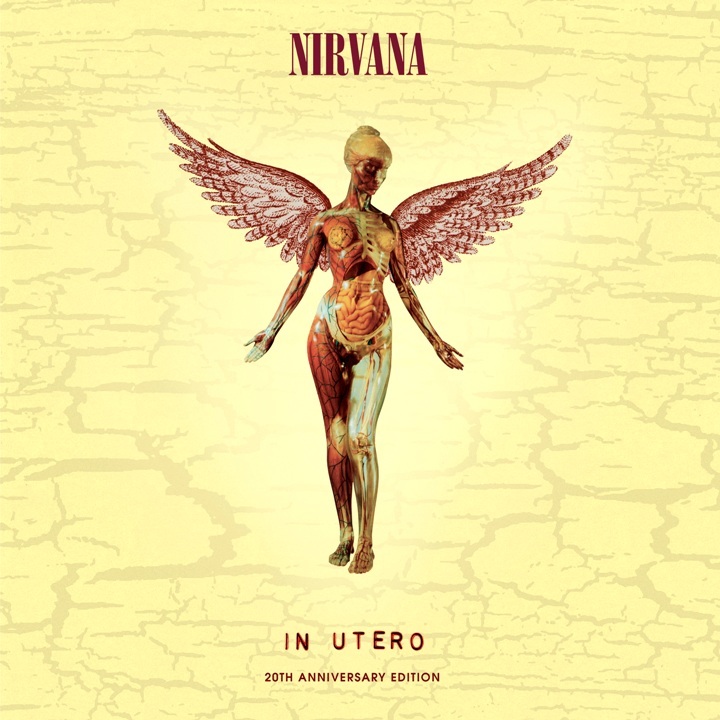 Nirvana had the X factor, and their song “Scentless Apprentice” is a fairly shocking number. It’s almost total tension. I wouldn’t necessarily call it tuneful, and I wouldn’t say it has something meaningful or clear to say; but the band was never this fierce. With on-the-spot lyrics inspired by Patrick Suskind’s novel, Perfume, the track bristles and burns, a battalion-battled death march sung mainly from the point of view of a freak who wants to live and die on his own terms. From start to finish the song is a full-bore sonic assault. The A-B-A-B structure rhymes in part, but the whole thing feels off-kilter, unresolved. There’s no release, and no relief – just Nirvana, guitar-bass-and-drums, and Steve Albini’s gift for miking a band. It’s the son of Led Zeppelin’s “Immigrant Song.” It’s tribal. So we come full circle. You can hear “Scentless Apprentice” as emblematic, not only of the album it’s on (In Utero) but the band that made it and the Seattle scene that spawned it and grew from it. To me, though, it’s more. The song is a continuation on classic avant rock & roll, stripped down and spitting in the early 90s. Nirvana was a good, not great, band that loved hard rock in all of its sometimes cheesy, sometimes ragged glory. And to this day Kurt Cobain, the front man, is a misunderstood non-genius — a troubled guy who, with a little help from his friends, articulated the rage and helplessness he felt at being inarticulate about his rage and helplessness. At not always being able to harness the energy his band was able to channel. In that regard, the band’s music was coherently incoherent. “Scentless Apprentice” has that spark, that dumb cacophonous glee, that makes you feel ALIVE when you hear it. That moment, that feeling, like others Nirvana got on tape, is a bit of genius all by itself.